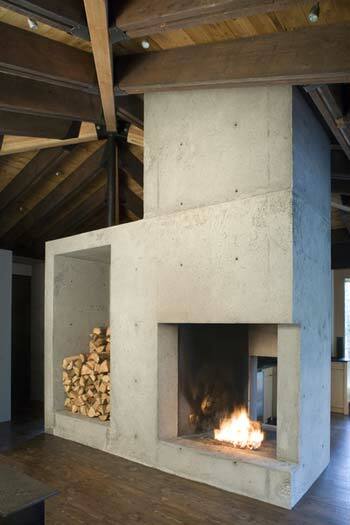 The Tye River Cabin is yet another fine example of ‘small meets modern’. It’s located in Skykomish, Washington – A rural area with lots of trees where they say “the sky meets the mountains”. 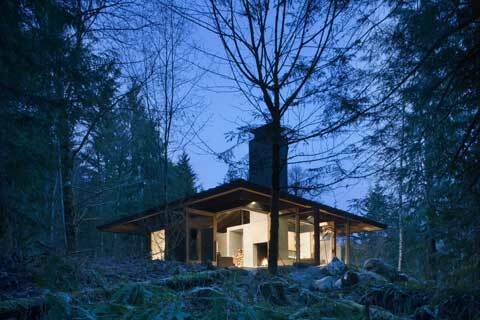 This wooden cabin is a charming compact retreat that sits on top of a concrete platform overlooking wonderful scenery. 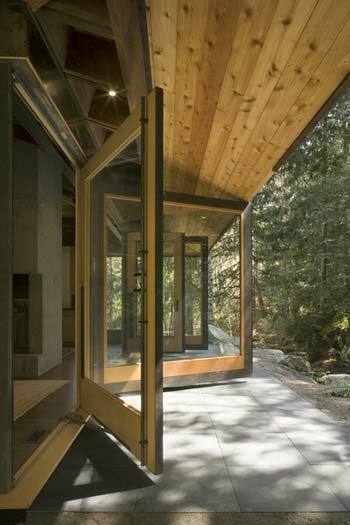 Indoors and outdoors merge as large glass walls retract and open up to the forest and river. 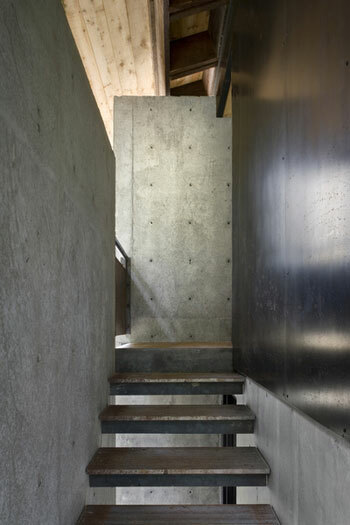 Materials are allowed to weather to merge with the site. 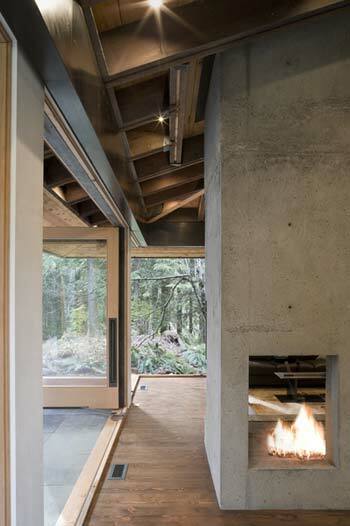 A massive concrete fireplace is situated in the center of the cabin, dividing it into two small areas: the living room and the kitchen area. 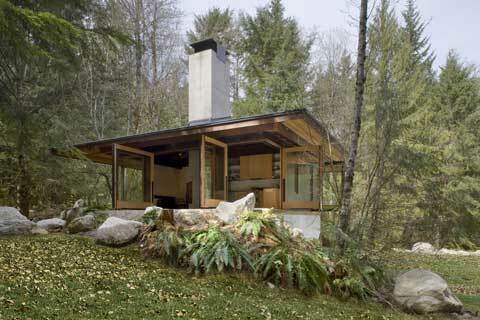 It has the makings for a lovely little cozy place in the woods.